The creative life is all about feeding one’s imagination with a wide variety of inputs – gathering inspiration, provoking thought, tickling one’s fancy – and then making connections between all these disparate little bites. Here’s a selection of what grabbed my attention this fortnight, perhaps some of them will inspire you too. How pretty are these pencils? Pass the sharpener! The sensuousness of creating has always gripped me. This stunning little guy walks around the Tasman Sea instead of swimming. This made me laugh 🙂 Guaranteed to confuse your child learning to tell the time. There’s never been another moment like this particular one, and never will be again. That means that at this moment, we have the opportunity to fully appreciate the miracle of this moment, and how it came to be from the infinite number of causes that created it from preceding moments. We are alive in this moment because of millions of other people who have supported us, because of everything on this planet, which just happened to be the perfect conditions for creating the person we are right this moment. What a freakin’ miracle! Embroidery good enough to eat! Remember to sign up for email updates on my blog because Facebook and Instagram both restrict what you see, and sometimes I get buried in the noise of the interwebs. I wouldn’t want you to miss out on the madness! There’s a link over on the side bar. I promise not to spam you, and I will never on-sell your details to anyone. I am sitting here this week suffering from the inevitable Summer sniffles and bundled up in a blanket even though it is 33 degrees C outside. I am so annoyed that I made it through my Christmas break without getting sick like I normally do on holidays, and then the first week back at work I get sucker punched. Ugh. Here’s some of what grabbed my attention this fortnight as I fed my creativity, perhaps some of them will inspire you too as we head into the weekend. How beautiful are these fairy sculptures? I’d love one in my garden! Struggling to get to sleep? Watch this for a while. Everyone needs to hear these seven things. Start your weekend off with a smile – I loved the field mouse! This song relaxes me, I love listening to these guys when I paint. Wouldn’t it be awesome if these were available at the office? And last but not least .. who would not want a giant purple squid to keep them inspired? The creative life is all about feeding one’s imagination with a wide variety of inputs – gathering inspiration, provoking thought, tickling one’s fancy – and then making connections between all these disparate little bites. Here’s a selection of links and bits and pieces that grabbed my attention this week, perhaps some of them will inspire you too. December is stressful, but this is a big NOPE as a coping strategy for me. Some of these letters broke my heart – Please Santa take all the guns. This had me giggling – The future king of England galloping! Ready to declare war on Christmas? Here’s a handy guide from the people from McSweeneys. It has been a prickly year all round really… Susannah Conway has some kind, soothing words to help. Delicate folds – I love the way this artist has captured the fabric in this piece. 1979 was a good, good year (thanks Good Charlotte) … Dad took his long service leave and the four of us piled into the front of the F100 ute and took off up into the middle of Queensland for three months. My little brother and I were young and slight, but it was still a squeeze to get us all on the bench seat…legs were strategically placed to avoid being kneecapped with gear changes, and we were a captive audience for hours of Slim Dusty, Johnny Cash and Tammy Wynette. 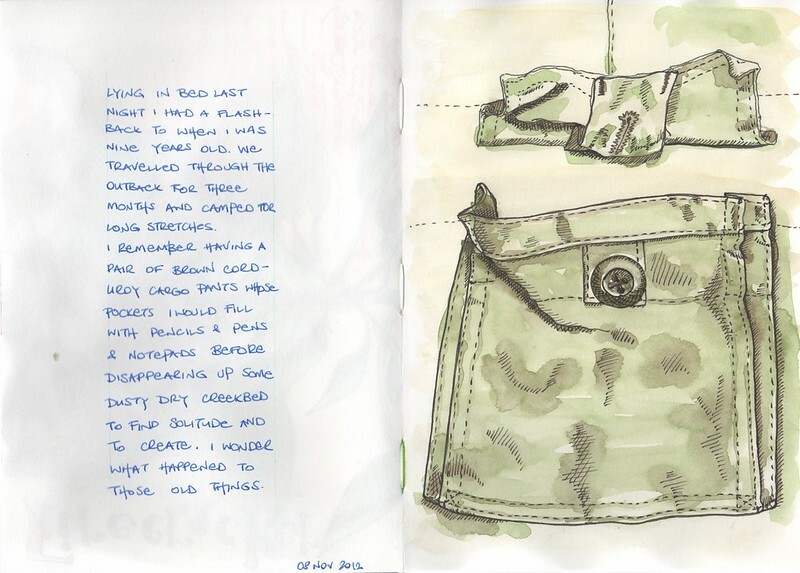 By the time we stopped for any length of time I remember loading up my pockets and dashing into the bush to explore and to write and draw. Solitude. From memory I did more writing than drawing in those days. I was going to be a novelist. The romance of the artistic life had me firmly in it’s grip. It’s funny what comes back to you in those delicious moments when you’re not quite awake and not quite asleep. Curious how the passion of my youth was buried for years and years and all of a sudden pops back up, and that now I start to remember. Generally chemist’s shop can offer to you with convenient treatments for divers diseases. There are hundreds of safe internet pharmacies that will process prescriptions. Many medicines are used to treat failure to get an hard-on. If you are interested in is viagra safe, you perhaps would like to read about is generic viagra safe. Conceivably you know about “where can i buy viagra online safely“. Other question we have to is “is it safe to buy viagra online“. Sexual dysfunction can affect the quality of breath. One way to resolve sexual disfunction is to make few foolproof lifestyle changes, another is remedy. As with any bodily activity, a rested body increases performance. Stop using this treatment and get emergency help if you have sudden vision loss. Generally chemist’s shop can offer to you with convenient treatments for divers diseases. There are hundreds of safe internet pharmacies that will process prescriptions. Many medicines are used to treat failure to get an erection. If you are concerned in is viagra safe, you perhaps would like to read about is generic viagra safe. Conceivably you know about “where can i buy viagra online safely“. Other question we have to is “is it safe to buy viagra online“. Sexual dysfunction can affect the quality of breath. One way to resolve sexual disfunction is to make few foolproof lifestyle changes, another is remedy. As with any bodily activity, a rested body increases performance. Stop using this medication and get emergency help if you have sudden vision loss. I’m sitting here procrastinating about writing an assignment that is supposed to talk about solving the Synoptic Problem, all the while fretting about the support agreement that I am supposed to be writing when I get back to work next week (I’ve never written one of those before). I’m procrastinating because I’d much rather be writing my own material…writing my own books and drawing my own pictures. I have always loved to read; and I have always sought inspiration and refuge in equal parts between the pages of books. From the moment I was able to borrow library books from the school library I maintained a bag-load of glossy tomes to keep me entertained. I remember during one phase I borrowed masses and masses of craft books that were packed full of cheesy 70s paper mâché and macrame projects, and I think I drove my mother insane with requests to make things. Some books left more of a lasting impression than others. Some books I borrowed over and over and my name appeared on the borrowing card more than anyone else’s for the years I was at that school. All of the books that I borrowed repeatedly had similar characteristics, and I borrowed them for the same reason. They inspired me. They made me dream and imagine a future of action. The funny thing is that these books continue to inspire me thirty years later. The first set of books are picture books written and illustrated by Bill Peet (Walt Disney’s best writer and storyboard man). Beautiful rhyming stories accompanied by vivid colored pencil illustrations. Whimsical stories. I still borrowed these books right up until I was in grade 6. 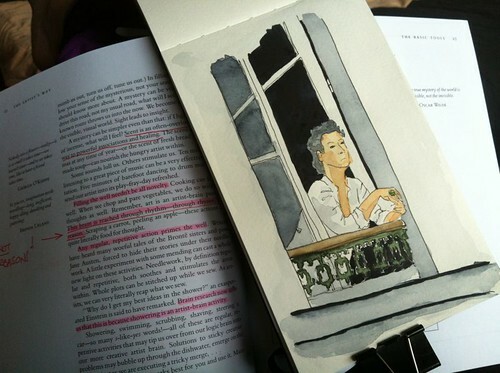 I would read them and dream of writing my own books and drawing the pictures to go with them. The other book that I borrowed over and over was an equally whimsical piece of work with page after page of gorgeous watercolour paintings. A book that had me searching under logs and within canopies of leaves for little people for many years. I bought myself a copy of this book a couple of years back, and I still look at it from time to time. Such remarkable attention to detail and beautiful artwork! Such imagination! Ever since I was a child I have dreamed of becoming a writer and artist. These books fed that dream. Sometimes when I get busy writing technical specifications and business cases I forget to feed the dreams of my inner artist and they begin to wither, and I get tired and jaded. I am learning that it’s important to keep dreaming. To nurture the creative connection to our Creator. To allow that connection to be expressed. What inspires you? Do you think it’s important to be inspired in life? Even as an adult? Generally chemist’s shop can offer to you with convenient treatments for divers diseases. There are hundreds of safe internet pharmacies that will process prescriptions. Many medicines are used to treat inability to get an erection. If you are interested in is viagra safe, you perhaps would like to read about is generic viagra safe. Conceivably you know about “where can i buy viagra online safely“. Other question we have to is “is it safe to buy viagra online“. Sexual dysfunction can affect the quality of breath. One way to resolve sexual malfunction is to make few foolproof lifestyle changes, another is remedy. As with any bodily activity, a rested body increases performance. Stop using this treatment and get emergency help if you have sudden vision loss.